The high end vintage boutique Cheeky Vintage will be featuring a 1920’s fashion exhibit at The Tremont House from 6 p.m. to 9 p.m. during the January 18, 2014 Galveston ArtWalk. 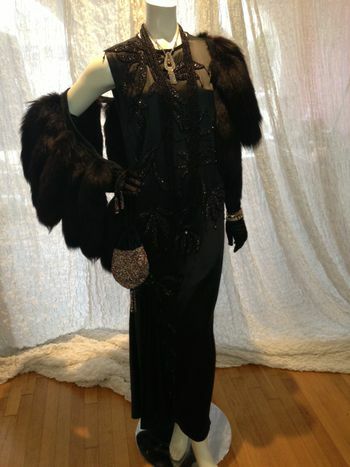 The collection will showcase the art deco fashion and accessories that were made famous during 1920’s. The fashion collection will be on display at The Tremont House for one night only as a precursor to The Tremont House’s 30th Annual Mardi Gras Ball and Parade Viewing Party. Cheeky Vintage was named one of the Best Vintage Shops in the country by Lucky Magazine and one of the best shops in Houston by CBS Houston. The popular boutique is a very glamorous shop that sells “modern couture with a past.” Among the vintage clothing you’ll find cocktail dresses, gowns, suits, jackets, bridal dresses, hats, shoes, handbags and scarves from all eras. “Each piece of vintage has a story to tell and we are happy to share the story of its pedigree and journey” revealed by owners Tina Davis and Denise Hazen. For more information on the store please visit www.cheekyvintage.com. 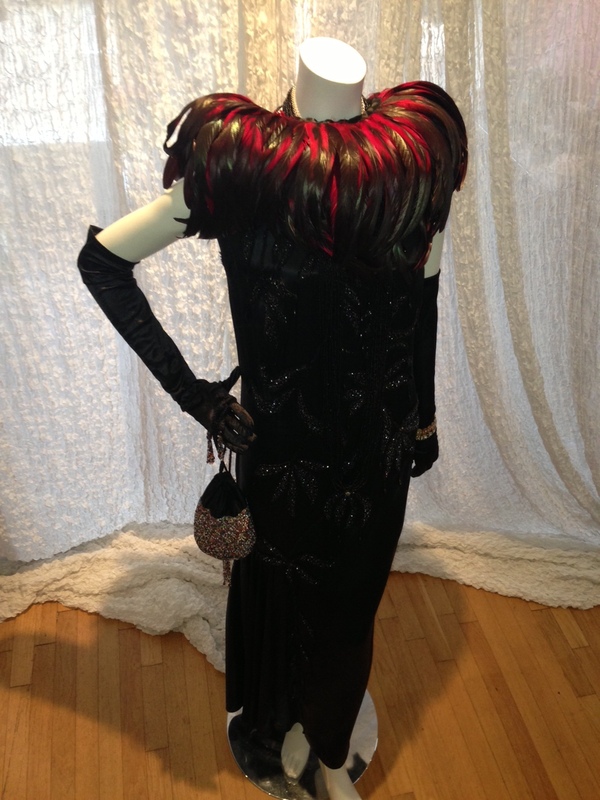 The 1920’s fashion exhibit will be on display at The Tremont House, 2300 Ships Mechanic Row, during the Galveston ArtWalk from 6 p.m. to 9 p.m. on Saturday, January 18, 2014. Tickets and information about The Tremont House Mardi Gras Ball can be found at www.Galveston.com/MardiGrasBall or by calling the hotel directly at 409-763-0300. The Tremont House, a Wyndham Grand® Hotel, is owned by Galveston preservationist George Mitchell as part of Mitchell Historic Properties. The Tremont House is a 119-room boutique hotel located in the heart of Galveston Island’s historic Strand District. This sophisticated hotel features 15,776 sq. ft. of meeting space, a bistro-style café, fitness center and two bars for entertainment – the 1888 Toujouse Bar and The Rooftop Bar. For reservations, call (409) 763-0300 or visit www.WyndhamTremontHouse.com. Photo courtesy of Cheeky Vintage.